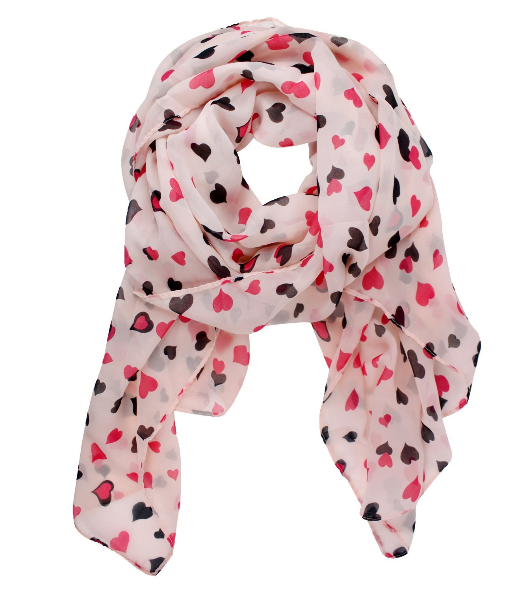 Pink Heart Chiffon Scarf ONLY $2.46 SHIPPED! You are here: Home / Great Deals / Amazon Deals / Pink Heart Chiffon Scarf ONLY $2.46 SHIPPED! Pink Heart Chiffon Scarf $2.46 Only SHIPPED! Grab this super cute Pink Heart Chiffon Scarf for Valentine’s Day, priced at only $2.46 SHIPPED right now!